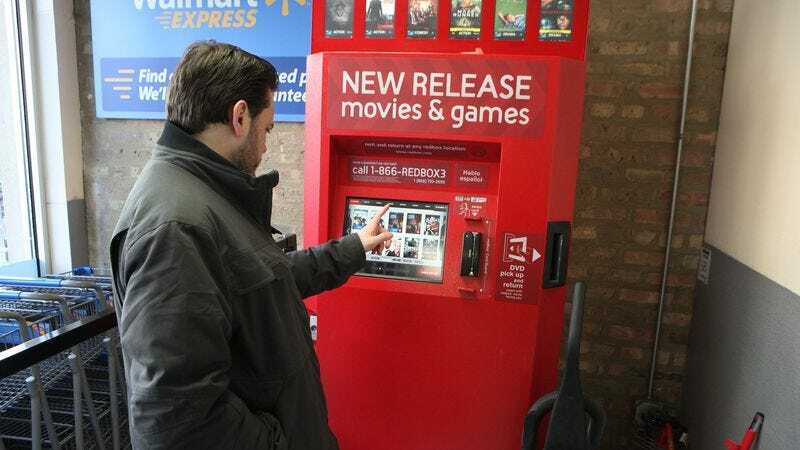 YANCEYVILLE, NC—Looking on helplessly as the man noncommittally scrolled through his available entertainment options, sources said Friday that local 30-year-old Gary Harper had obviously approached the Redbox machine at his local Walmart Express without any game plan whatsoever. “I figured he’d quickly select the movie he had decided on during the drive over and be on his way, or maybe take an extra few seconds to pick out his second choice,” said Ethan Schmidt, adding that he was waiting to return a DVD and had been watching Harper flip back and forth between comedy and action-adventure for at least five minutes. “But it’s pretty clear this guy doesn’t have the slightest idea what he wants to watch tonight—oh, great, now he’s started reading the descriptions.” At press time, after briefly lingering on A Walk Among The Tombstones, Harper had backtracked all the way to the main menu to explore video games.